Apple CarPlay: What Is It and What 2018 Models Have It? The 2019 Acura ILX is a sporty sedan that provides Acura luxury and quality at a new, lower price. Find me an SUV with as much stuff as this Chrysler Pacifica Limited Hybrid. 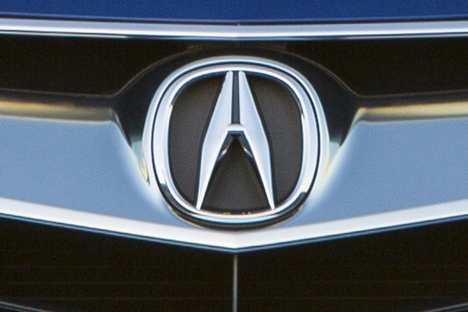 We've listed all the details on Acura's certified pre-owned program to help you understand if it's right for you. It's no secret that distracted driving is a major cause of traffic accidents and fatalities on our nation's roads. It's bad enough that many of us think nothing of eating, drinking, reading maps and fiddling with the audio and climate control systems while piloting a ton and a half or more of steel down the highway at, say, 60 mph (88 feet per second). But with the advent of the smartphone, our desire to stay connected via phone, text or internet surfing has escalated the distraction risks exponentially. Apple CarPlay is one of the best Apple products to come along since the first iPhone was introduced a little over a decade ago. Essentially, it brings the iPhone's functionality into your vehicle, mirroring many of the iPhone's most frequently used features. In nearly every case, cars that come equipped with Apple CarPlay also have Android Auto, allowing Android phone users the same kind of in-car convenience. The idea is to lessen the visual distraction of glancing at a small cellphone screen and keep your eyes on the road and hands on the wheel. CarPlay works with any iPhone 5 or newer phone with iOS 7.1 or later software. There's still some cognitive distraction and button pushing brings its own manual distraction, but at least the button locations and click-through logic is similar to what you're used to with your iPhone and, in most cases, is better than the car's native controls. With CarPlay, Apple Maps can be viewed on the infotainment display screen. You can ask Siri to search for destinations, give directions, display speed limits and more. Again, via Siri, you can make calls, return missed calls and hear your voice messages -- all hands free. 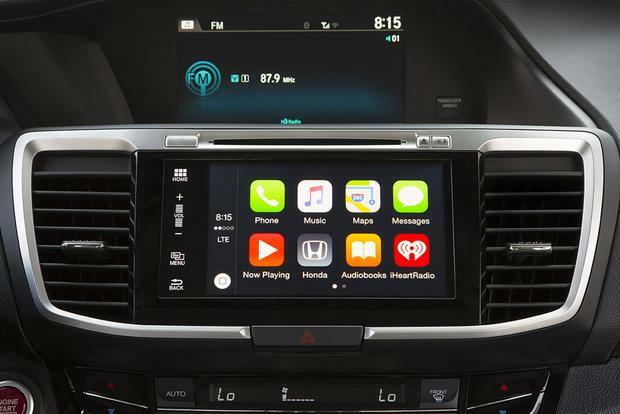 Using Siri or the vehicle's control knobs, buttons or touchscreen, you may call up playlists, songs, artists and iTunes Radio or listen to iBooks. CarPlay can also be used to access third-party apps such as Pandora, iHeartRadio, Amazon Music, At Bat, Radio Player, Stitcher, Google Play Music, Clammr, Slacker Radio, NPR One, CBS Radio, Radio Disney, Audible, Spotify, Audiobooks.com, Overcast, Downcast, Podcasts and others. The biggest distraction reducer is using Siri to read, send and reply to text messages on your behalf. There's no need to look at your phone. Just tell Siri what you want to do and put your phone out of sight or stash it in the console bin or glovebox, so you're not tempted to look at it. So you say your car didn't come with CarPlay? No problem. Most of the aftermarket upgrade audio systems have hardware that allows CarPlay to be retrofitted. Keep in mind that you'll be using minutes from your phone provider's data plan to display maps, stream music and access Siri. So make sure you get the right data plan for your needs. Apple CarPlay (as well as Android Auto for Android phones) first appeared as a factory-installed feature on some 2015 models. Today, many car companies already offer all or most of their models with this distraction-saving connectivity or are busy working on it. Early adopters included Ford, GM, the Volkswagen Group, Hyundai, Kia, Mercedes-Benz, BMW, Porsche, Volvo and Honda. Other brands such as Nissan, Acura, Fiat/Chrysler, Mini and Subaru are midway to adding the technology. Late to the party are Toyota, Lexus, Infiniti, Mazda, Land Rover and Jaguar, but indications are that these brands will also offer CarPlay in the not-too-distant future, perhaps as soon as the 2019 model year. Looking to buy or lease a new car, SUV or truck with this easy-to-use, distraction-reducing technology? This list is sure to grow, but check out the list of 2018 models available now with CarPlay below.